View of the Witherow Building on Fifth Avenue. The impact of construction on the street is evident from the "To Let" signs and the claim that the building will be remodeled to suit the tenant. Streets--Pennsylvania--Pittsburgh--Maintenance and repair. 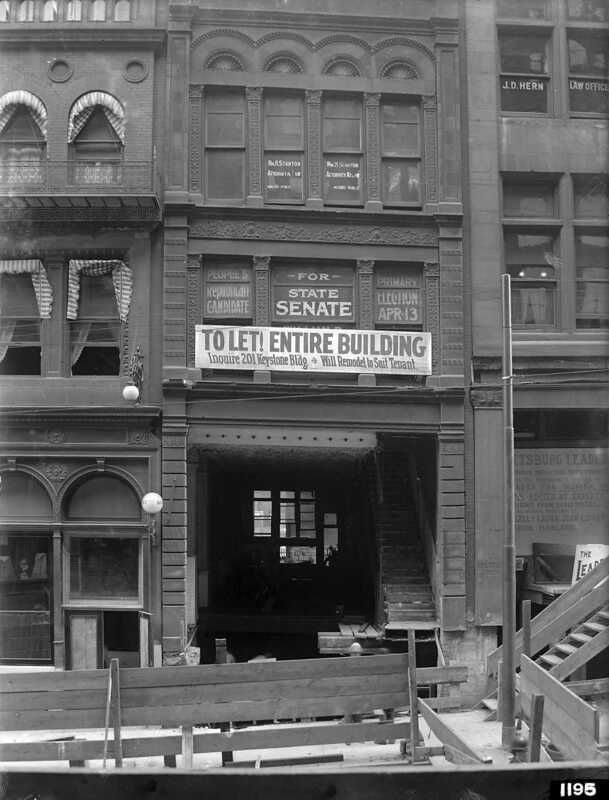 ; Commercial buildings--Pennsylvania--Pittsburgh. ; Fifth Avenue (Pittsburgh, Pa.). ; Downtown (Pittsburgh, Pa.).